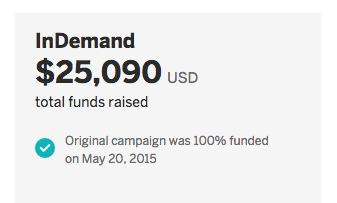 May 2015 - Indiegogo Funding Goal Reached! On April 20th we kicked off our Indiegogo campaign to raise post production funds for Detroit 48202: Conversations Along a Postal Route. The immediate response was thrilling--we reached 28% of our goal in 24 hours. This tells us that a documentary film looking at a complicated time in a complicated city from the perspective of people on the ground resonates. To read the full HuffingtonPost interview click here. 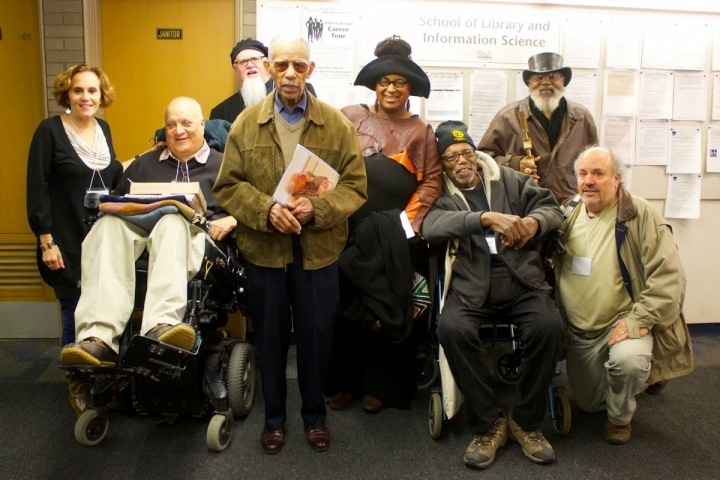 I got a chance to share a work sample of Detroit 48202: Conversations Along a Postal Route for the first time to a Detroit audience at the North American Labor History Conference held at Wayne State from Oct. 24-26, 2013. I was lucky to share a panel with WSU Prof. Todd Duncan entitled, Cinematic Images of Labor in Detroit. The essence of the presentations, and the vibrant discussion that followed, was that there are important grassroots Detroit voices, that often don't get heard, but that express histories and struggles that complicate a sometimes simplistic, exploitative narrative about the city's past and present. It made me really think about what images we media makers choose to highlight: empty buildings or people? I couldn't be more excited to teach the video strand of the City Lore Documentary Institute in August 2013. Elena Martinez and Steve Zeitlin have brought together an incredible mix of institutions and people who do profound work in documenting and celebrating the diverse grassroots culture and history of New York City. 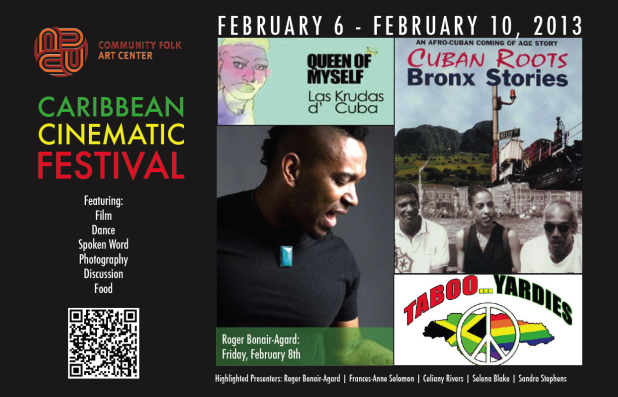 Catch CUBAN ROOTS BRONX STORIES at the Community Folk Art Center’s Caribbean Cinematic Festival on Sunday February 10 at 3PM, followed by a discussion with Danielle Brown, Professor of Music History & Cultures. 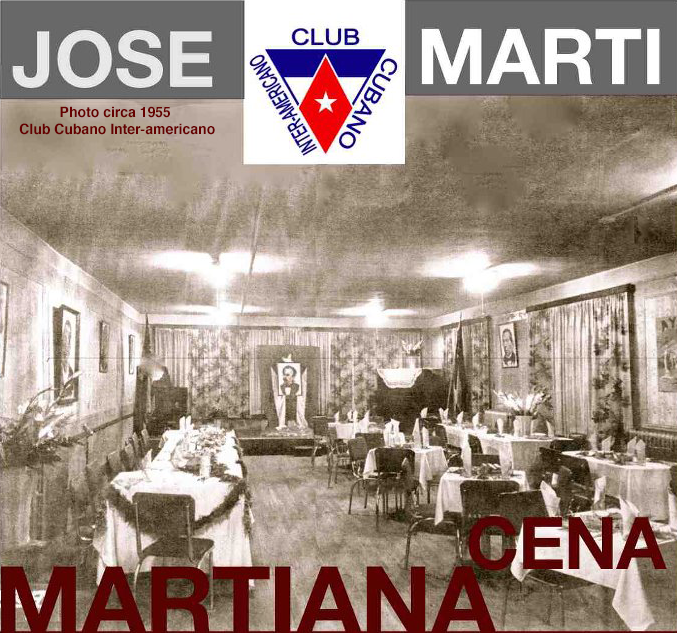 On Monday January 28, 2013 The Bronx Music Heritage Center will host El Club Cubano Inter-americano's "Cena Maritiana," a cultural dinner honoring the birth of José Martí, one of the great leaders of the Cuban & Puerto Rican struggle for independence from Spain. Grito Productions is proud to screen WITH A STROKE OF THE CHAVETA as part of the evening's activities. I was particularly moved by new documentary THE CENTRAL PARK FIVE and hearing the now adult, and exonerated, men speak about their experiences because they could have been any one of my students at Satellite Academy in the South Bronx, where I was teaching in 1989. Welcome to the new Grito Productions website.  I hope perusing the site is fun and that the material you find within it moves you intellectually and artistically. Working on this site with the folks from The Work Department in Detroit has been an enjoyable, collaborative process. They are an incredible group of socially engaged designers and programmers and they have translated the spirit of Grito Productions into a colorful and welcoming format. I went out to Brooklyn last night to the Myrtle Village Green to attend the New York premiere of "ReRooting The Motor City, Notes on a City in Transformation," a new documentary produced by the video collective Paper Tiger Television. It was well worth the trip. Myrtle Village Green is a coalition of neighborhood groups that has gotten temporary access to a vacant DEP water tunnel shaft on the border of Bedford-Stuyvesant and Clinton Hill. The coalition is committed to insuring there is an inclusionary process in deciding what will happen with this potential green space in the middle of prime Brooklyn real estate. So, it was a perfect venue for the screening of a film about transformations happening in Detroit.